It used to be easy for a Home Owner to replace their own water heater in the past. All it took was a little knowledge and a trip to your local hardware store. However, federal regulations took effect in April-2015 that requires all water heaters be more energy efficient. So buying the correct water heater just got tricky, depending on the size of your tank. The new regulations are not an option. If you get it wrong, you may not be able to sell your home in the future until it is corrected. The new water heaters will cut the Home Owners energy bill by 25% to 50% depending on the technology you chose. The rules apply if you have a gas water heater, electric water heater, or oil residual tank water heater. Good news if you own a tankless water heater. You already meet all new federal regulations. 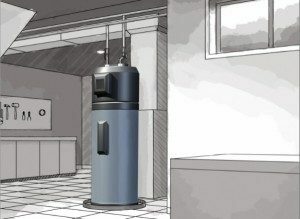 Water Heaters larger than 55 gallons or more will have the biggest return on their investment. However, new technology is required and the size of the tank will be different and may have to be stored differently than it is now. The new water heaters are about 2” larger in length and width. This is when your homework comes in. Regulations are manufacturer bases. Any water heaters that does not meet the new standards will no longer be produced.